Beautiful is a unique and creative Water colour styled theme. The flowers and watercolour designs have been hand painted by our in-house artist. The website design template would be perfect for creative online stores like sewing projects, cooking, baking, crafts, photography, florists even children’s items. 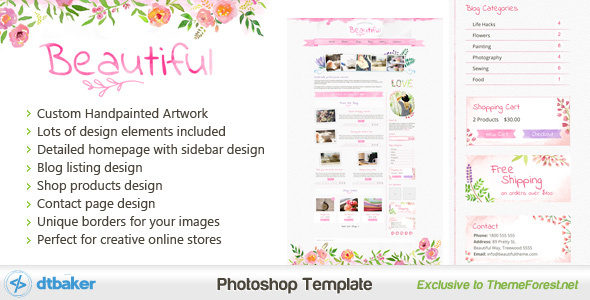 This template design would also complement your Etsy Store. Other pages included is the Coming Soon landing page, a Contact page, and 4 pages of design elements to use throughout your real world content to get you started. The photoshop layers are clearly labelled. They are all also Retina ready at 2x the standard size. The Beautiful Watercolor Photoshop template is for sale on ThemeForest.net for just $12, preview the files here. 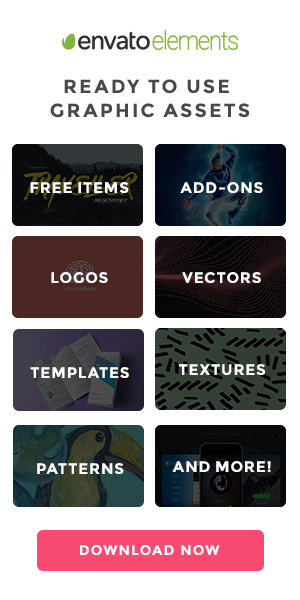 Reminder: this is a Photoshop PSD template, not a WordPress theme.